When I was nine years old, I took my first paid job delivering unwanted, unread newsprint shoppers to all of the houses in Meadowlark Hills, the charmless new subdivision of particle-board-and-plastic houses nestled in the tumbleweed prairie at the at the base of the foothills of Casper Mountain. Ours was a small, mustard-yellow house with an attached garage and a leaky basement. Once every two weeks, an anonymous adult driver stopped by and unloaded a pile of papers for me to roll, secure with a thin red rubber band, and deliver. I earned five dollars for my trouble, which in the beginning consisted of rolling and binding about fifty or sixty flimsy, inky shoppers, loading them into a heavy cotton sack, and canvassing the subdivision, depositing a shopper on every doorstep. The money was worth the sensory torture of ink on my dry fingers as they rubbed against the chalky paper. The money was also worth the weight of the large sack hanging from my scrawny shoulder, worth the way the strap cut into the flesh on my collarbone as I skulked along the smooth asphalt streets past identical houses and treeless yards. But barely worth the money, for a tragically shy preadolescent girl like me, was the horror of being out in public with that huge sack of paper, having to pass by strangers out on their postage-stamp lawns firing up grills or scooping dog poop, and having to make small talk. Horrors. Worst of all was the risk of encountering other children, because with them you never knew what to expect and cruelty wasn't out of the question. I struggled from the start. But as the subdivision grew, with new houses slapped up every day, my job grew, too. The smeary task of rolling and binding took longer and longer as the pile of papers grew bigger and bigger, and the delivery time crept upward with each two-week interval. A job that at first took an hour or so soon took an hour and a half, then two hours and more. Freshly tarred new streets sported larger, more complex houses, and these rivers of black pavement wound around in a mercilessly inefficient maze of curves and cul-de-sacs that snaked nearly all the way to Casper Mountain. Over the course of several months, so many houses got built and so many new streets got paved that I barely knew my way anymore. 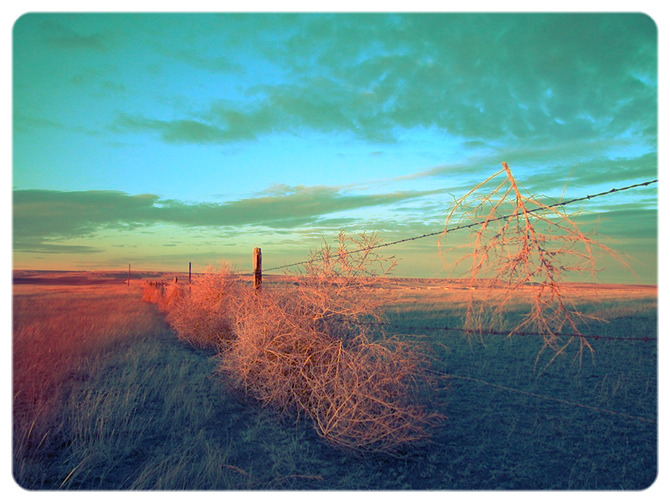 As Meadowlark Hills sprawled toward the foothills, summer gave way to fall and fall to winter. I walked my route in the afternoon, and toward the end, I found myself wandering in the near-dark streets without a sure sense of how to get back home. My fingers stiffened and my body shivered against the howling Wyoming wind. My stringy hair whipped around my face and into my eyes, and I could see my breath in the half-light of the early winter dusk, puffing out in little streamlets as I counted houses until I lost track. The job had tripled and quadrupled, but I was still earning that same five dollars per delivery. Finally, the day came. I got off the school bus and walked up the hill, past the Suzuki motorcycle shop, past the little Meadowlark Hills office building where salesmen for the development chased off kids like my sister and me, who fought boredom by sneaking into the model homes, sauntering up to unsuspecting young couples with grubby-fisted toddlers (who smeared dust and grime onto the thin interior walls), and warning them all about the flooding basements and the kitchen tile that bubbled up after you moved in and the carpet that never came clean. I strode past the office and the model homes and down Meadowlark Lane to our mustard-yellow house, where I found my towering stack of shoppers enveloped in a black plastic trash bag. I dragged the plastic sack up the three concrete steps, through the front door, and into the middle of the living-room. I collapsed in a rust-and-brown plaid chair and stared into space. My fingers tingled as they warmed back up after the long walk from the bus stop through biting wind. I didn't move. I didn't turn on the TV. I just sat with my shoppers, staring them down. For a long while, I pretended I was just procrastinating. But all along I knew full well the truth: I wouldn't be making my deliveries that day. All of the men and women of Meadowlark Hills were going to have to do without their two-for-ones and special rebates this time, because I quit. Just thinking the words I quit made me feel better. The ominous black plastic monster on the carpet turned back into a Hefty bag full of newsprint. But still, something had to be done. On the one hand, no one at home was paying particular attention to my employment with the shopper company--I had been doing the route in latch-key hours. Even lately, if I got started on the route right after school, I'd circle back not long after my mom got home from work. But on the other hand, if my older sister or my mom took note of a large black sack of undelivered shoppers on a Wednesday evening, someone was going to find herself with not only a lot of rolling, binding, and delivering on her hands, but a heap of explaining to do, too. So I hid the evidence. Where we lived on the outskirts of Casper, in a wind-ravaged stretch of land better suited to sage and snakes and jackrabbits than people, I didn't have to look far for a hiding place--just a six-foot-tall, inch-thick wall of cedar past my own back yard. Almost all of us in Meadowlark Hills, especially those of us whose backyards faced the desolate weed-and-wildflower wasteland that separated our development from the mountains in the near distance, built cedar privacy fences to stave off vulnerable feelings born of living with your back to so much emptiness. And I of all people knew just how empty it was back behind that cedar fence. I had spent many long hours under the hot sun and high blue sky exploring the nooks and crannies of that prairie. I loved the idea of the prairie, of being out there by myself, wandering in the smell of sage and loneliness, searching for secret places that would be mine alone. And I had stumbled across quite an impressive canyon the summer before--bursting with the promise and possibility of solitude and magic, and carpeted two layers deep with brightly colored wildflowers nodding their heads in the sheltered breeze of the canyon floor. Unfortunately, my canyon was also, during the seasons of my discovery, bursting with bees, billions of bees, buzzing around my head and face until I gave up and fled. This land was like that: full of mirages and concealed disappointments. What better place for the sack of shoppers? I dragged it out several yards past the back fence. The rocks and tumbleweeds left long gouges in the tough plastic. At the first steep dip in the land, I let go of my burden and headed back home to watch TV and think about what I had done. I thought about it all winter, as the snow buried my secret in a clean, absolving layer of white, and into the spring, when the snow melted to reveal the same old sack of sin, papers inside now soggy and dense as cement. Over the next summer, the black plastic faded in the harsh sun, and grew more ragged and torn. When I one day noticed with relief that the ink on the shoppers was nearly illegible, I finally let go of the fear of reprisal, and sometime later, I even forgave myself. Though I can't recall it, I must have called the driver man and told him of my change of heart soon after dumping that first load of shoppers, because I know with certainty that there are not rows and rows of black Hefty bags full of decaying shoppers blighting the land at the base of the foothills of Casper Mountain. 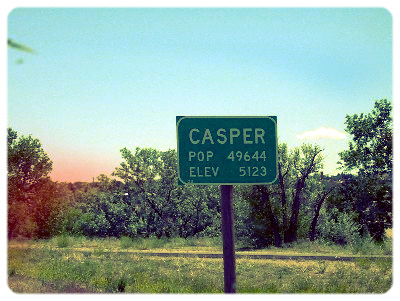 There aren't even that many more houses blighting it, either, from what I hear; the recession of the early eighties wasn't good for the oil-based economy of Casper, and the building boom came to an abrupt halt not long after my family left Meadowlark Hills. The only remaining trace of my former paper route's unseemly end is likely in my own memory, a decades-old composted image of myself and my own weakness. If I am better than I might have been at understanding how painful it can be to be a child and at recognizing the point of no return before it arrives, it may be because of what I learned from my paper route.